Updates | Delcot Engg Pvt Ltd +94 757442795 in Colombo,Welcome to Delcot Engineering Pvt. Ltd. has carved a niche amongst the topmost names in this business which was established in the year 1998 as a Private Limited Company and is located in Umichy place , Colombo , srilanka We are offering industrial Valve, Oil Cooler Assembly, Water Pump Assembly, Connecting Rod bearings & Main Bearings, thrust washers, various other Spare Parts suitable for marine and Industrial engines. These are catering to the requirements of diverse industrial mechanisms related to marine and off-shore construction, earth moving & heavy earth moving engines, generators and industrial diesel engines. All of our range is appreciated for their features of low maintenance, corrosion resistance and high fatigue strength. Being a supplier, we ensure that only quality range reaches to our clients and thus, we procure our spares duly inspected and tested from O.E. vendors & suppliers. 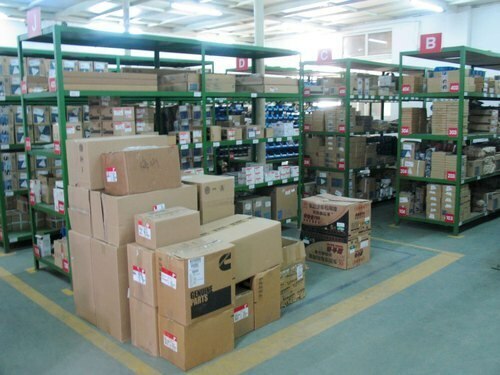 We supply spares that are suitable for the engine models like greaves, YDA, YDX, YWA, MWM, Kivlosker, RB, HA, SL-90, 4R-1040, Cummins, NH.NT, BT, CT, VT, KT, Series, Leyland 370, 400, 401, 411, 680, Hino engine spares, Catterpiller 3306, 3406 etc. Having excellent standing in the market with clients' kindness, we have gained a desirable image in domestic market through our constant endeavors towards our clients. Due to our excellent sourcing capabilities, we have been able to procure our range both in standard and customized specifications. Further, we own a spacious warehousing and packaging unit, where we keep our procured range in a systematic manner till it is dispatched. Moreover, we have tie-ups with various C & F agencies, which ensure that our range reaches to the clients within the specified time frame.